The year 2017 was definitely a record year for Venture Capital-backed fintech featured by $16.6bn raised (Figure 1), 1128 deals executed worldwide and 8 new unicorns (companies with market valuation of $1bn+). While North America surpassed Asia and confirmed its leadership in terms of money raised (after the decline of 2016, Figure 2), Europe experienced the biggest increase with a +121% YoY reaching circa the 17% of the whole funding to VC-backed fintech companies. Interestingly, the fintech space is changing and so are investors’ behaviors. As we can see from the chart below (Figure 3), the global number of Fintech mega-rounds ($100m+) dramatically increased from 2016 (35 vs 16). Investors, especially in the US, are making more concentrated bets. Over the last years, Fintech startups have addressed single unserved financial products/services by improving customer experience. According to CB Insights, 2018 will be characterized by fintech rebundling and will see startups dealing with switching from mono-product to multi-product, leveraging technology for product innovation and opening new investing channels. Notable examples are Credit Karma expanding into tax and Revolut launching a cryptocurrency exchange on its platform. Several European banking startups already announced expansion plans. Revolut and N26 are about to kick off their operations in US. Funding Circle announced a strategic partnership with Kansas INTRUST Bank to support growth of US SMEs, and TransferWise is launching its new borderless account that can hold 28 currencies. Banks are finally actively investing in fintech startups across a variety of areas from Blockchain and Data Analytics, to Payments and Financial Services Software. Interestingly, banks are not only looking to invest in and partner with fintech startups but also working on their own fintech solutions. Marcus, Goldman’s online lending (and deposit) platform, recently hit $2bn in loan originations, just 13 months after its launch. Moreover, 2017 saw the launch of JP Morgan and Morgan Stanley robo-advisors. According to CB Insights, Wealth Management is on the rise in China. Ant Financial’s Yu’eBao is currently the largest money market fund in the world and Tencent just got a license to sell mutual funds to WeChat’s user. However, VC investments in Chinese wealth tech startups are not as huge as we may think. In fact, only $146m were raised in 2017, suggesting room for strong growth and opportunities for fintech startups able to deliver more comprehensive solutions as the industry undergoes a paradigm shift. It is not a secret that Fintech has flourished where banking infrastructure is underdeveloped, fulfilling the gaps in traditional banking models. CB Insights suggests that the next great opportunities may lie in Latin America and Southeast Asia. The need for innovative solutions is clear. For example, 40% of Brazilians are currently excluded from traditional banking systems and less than 5% of Indonesians have a credit card. In 2017, Southeast Asia saw $218m invested in fintech (record year) and Latin America saw 38 fintech deals (clearly outpacing Australia and Africa). 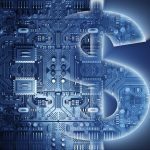 Alternative lending and blended solutions between fintech and commerce are the hot areas to watch. 2017 has also been the year of Crypto and, while blockchain is still in its very early days, investors and startups have entered the space looking for speculation. More than $4bn have been raised via Initial Coin Offerings in 2017 and Cryptocurrency exchanges such as Coinbase surge in popularity. As crypto speculation continues, more companies will look beyond their initial use cases to enable and expand investment and trading. The next fintech era must rely on a stellar infrastructure to drive innovation in finance. In fact, one of the most urgent need for banks is to revolutionize their IT systems. Aiming at replacing legacy infrastructure, centralizing disparate customer data and creating open banking platforms, banks are very interested in solutions offered by startups like Plaid or Quovo (a data platform that leverages a robust suite of APIs & modular applications to aggregate financial data). Regtech is on the rise. VC-backed Regtech equity funding reached $1.8bn across 176 deals since 2013 and many predict it will be the next big phenomenon. Regtech finally enables bank to optimize compliance activities, currently very costly and inefficient. Banks such as Santander, Barclays, and Goldman Sachs are some of the earliest to invest in regtech startups. Banks have made investments in products & services that range from identification and background checking software to blockchain and trade monitoring. Insurtech startups continued to be a hot area for fintech investment in 2017. Global deals rose 16% YoY in 2017 with $8bn invested since 2012. Although most of the funding still go to distribution-focused startups, a crunch may occur as winners emerge. On the other hand, back-end startups are finding more ways into insurers with claims being an area of focus. Amazon is a great example of how new entrants are taking market shares from traditional players. Amazon has already successfully developed several financial services such as payments, lending and cash deposits in the US and, right now, is looking abroad. The tech giant is betting big on Insurance in Europe and in Payments in growth markets such as India and Mexico. It will be also very interesting to see how the battle with the Chinese Dragons (Tencent and Alibaba) will evolve.